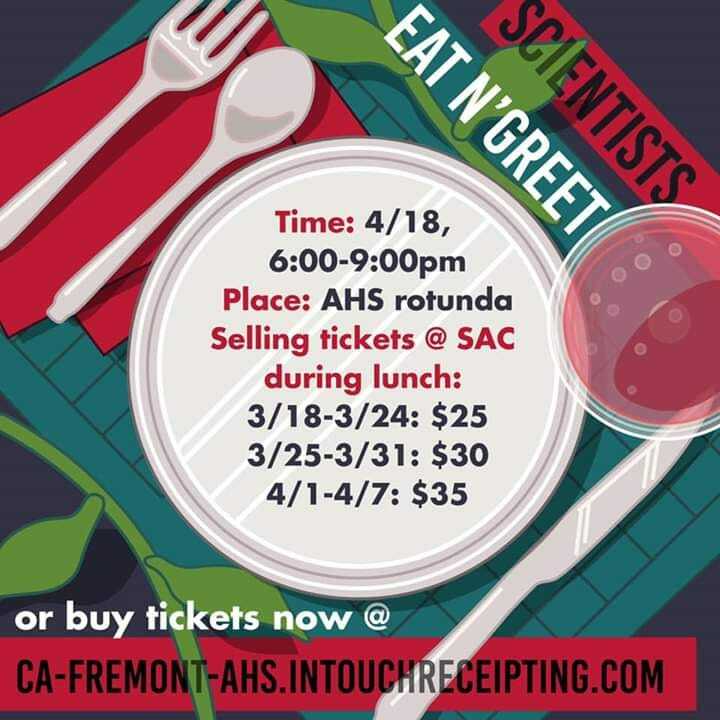 Proceeds go towards Prom, c/o 19, 20, 21, Science Olympiad, and AHS Science Department. 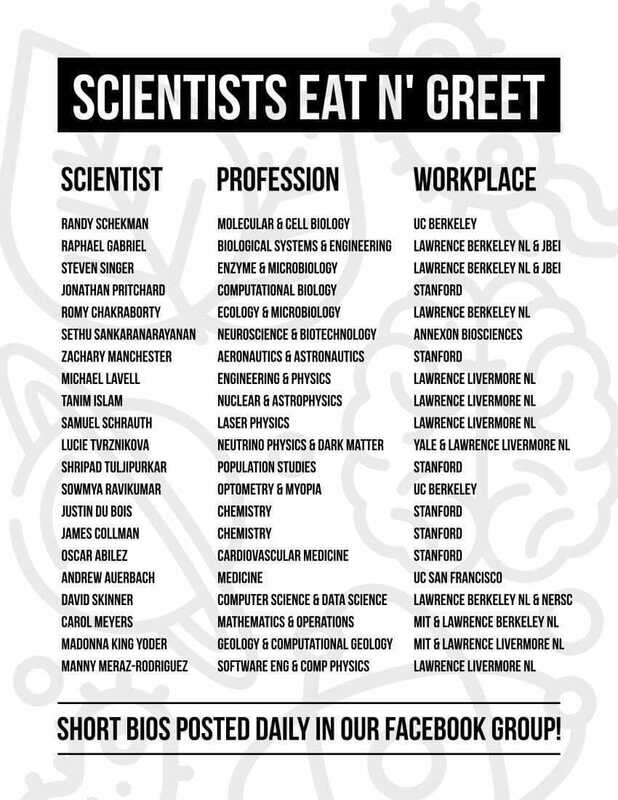 Don't miss out on meeting scientists from varying fields of studies and universities, from Standford to UC Berkely! See second flyer below. Feel free to reach out to c/o 19, 20, 21 councils for questions!